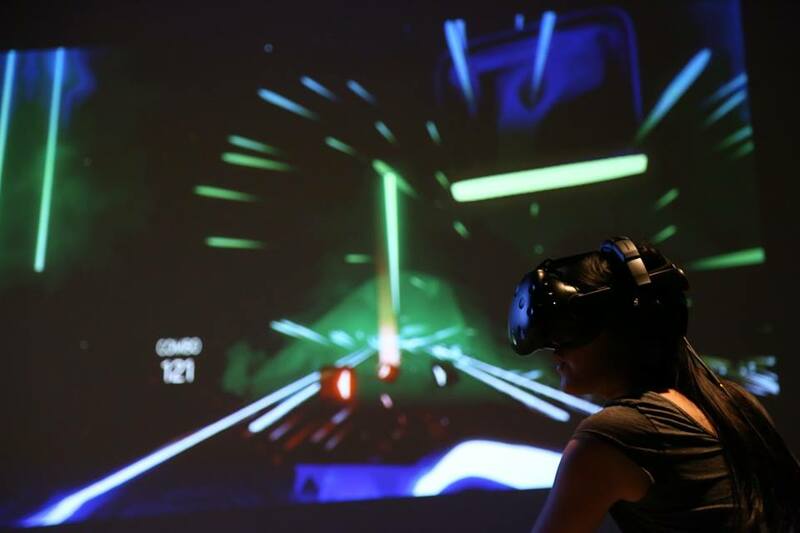 After the success of last year’s Fruit Ninja tournament, Originator decided to tackle another competitive VR game: Beat Saber. In this game, players slash boxes to the rhythm of a song, while also dodging walls and bombs that rush toward them. Some of the players brought incredible energy, moving and dancing to the beat of the song. The crowd always enjoyed the competitors who brought a little extra flair. The competition was fierce, especially in the later rounds. There were also two VR stations set up outside for those who wanted to try out the game without the pressure of entering the tournament. Beer and hot dogs were provided. People watched the competition unfold, cheering on their friends and moving to the music themselves. All of the rounds used songs that come from the Beat Saber core game, except for one. Round 3 was a little different. The competitors were thrown a curveball by having to play a downloaded custom song: Childish Gambino’s “This is America”. The song was a hit, both for those watching and those playing. It was a good way to break up the competition and add a bit of freshness. The final two decided to duke it out to a song of their choosing. It was by far the most difficult song of the night, even the audience could see that. The first place score topped one million points, the highest score seen that night. The final two players shook hands, congratulating each other on a good game. Each of the top three received a free hour at the VR arcade. The second place winner also received two replica lightsabers, one blue, one red. The first place winner received a brand new HTC Vive. Each Originator event is unique and uses that studio space in a new way. The Beat Saber competition was no exception. 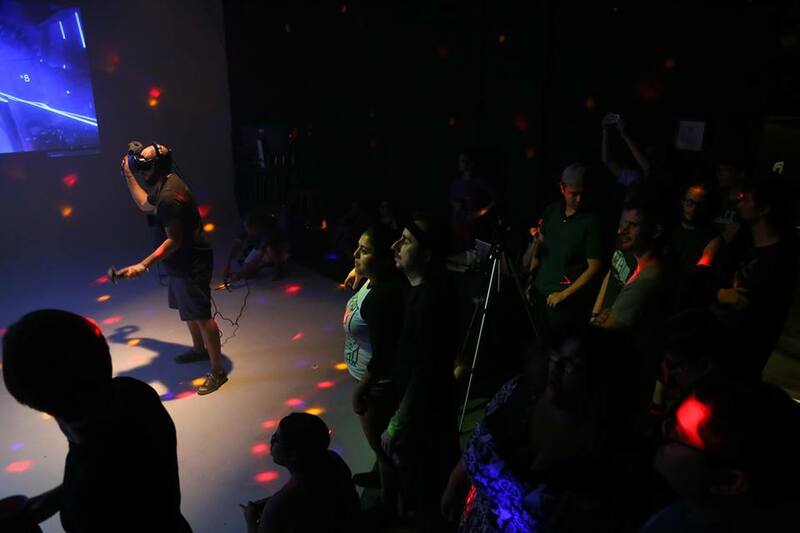 Equal parts VR game tournament and dance party, the event was fun for both competitors and spectators alike. If you would like to host your own event at Originator, get in contact with us! In other VR related news: our sister company Hybrid VR is recognized as a top AR/VR Company on DesignRush! Click to check them out.